Connecting Flights - What Time Should You Arrive? The research that goes into planning a safari itinerary to remote, pristine wildlife areas on the African continent can sometimes be an intricate experience. To help you maximise your time on safari we have created a handy ‘connecting flight’ document. 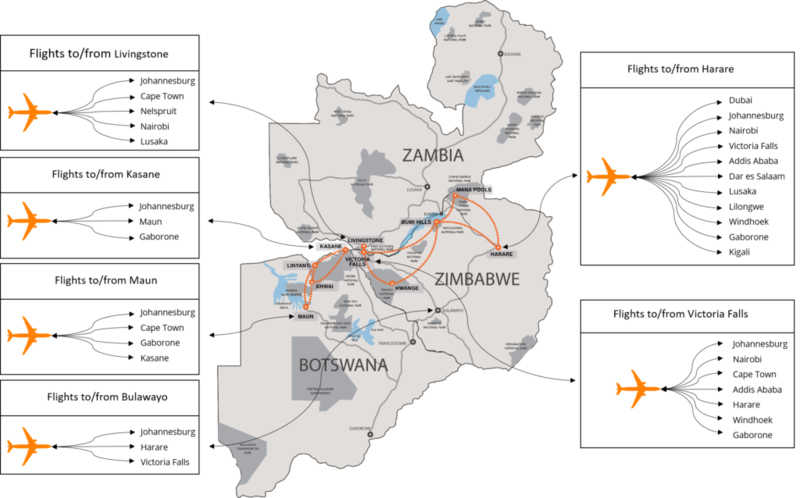 This shows the latest/earliest guests can arrive/depart on an international or regional flight into Zimbabwe and still be able to connect to our Safari Logistics flights so that our guests can make the best of their time in the bush.